Trusted in Real Estate. Trusted in Milwaukee. Buying a home can be an anxiety-ridden process, and that potential anxiety gets amplified for anyone who’s embarking on homeownership for the very first time. There’s so much to do and so much you don’t know that “being overwhelmed” hardly seems like an appropriate description of how it feels. And even though you don’t want to scare yourself away from the entire process, you still need to be wary of falling into a few common traps that first-time buyers generally don’t avoid. If you’re aware of these five potential mistakes — and able to keep yourself from making them — then you’ll be saving yourself some significant stress on your home buying journey. The biggest headache for so many first-time buyers is the down payment. If you’ve ever bought a car, then you’re probably familiar with the concept — it’s money that you contribute to the total cost of the purchase. A down payment of just a couple thousand dollars can get you a head start on your car. If you don’t have a certain amount to put down on your home loan, however, you might find yourself paying private mortgage insurance (PMI) on the lifetime of the loan. Depending on your credit score, the bank and other factors, PMI could cost between 0.5 percent to 1 percent of the total loan amount. Most banks require at least a 20 percent down payment before they will waive the need for PMI on the loan. And most homes in this area cost about $300,000, so that means a buyer would need to bring $60,000 to the table in order to avoid PMI. However, there are loans that allow you to put as little as 3 percent down on the home ($9,000 for a $300,000 home), which is much more reasonable for a first-time buyer, especially if you can accommodate the annual cost of $1,500 to $3,000 in PMI into your monthly payment amount. And veterans could be eligible for zero-down loan programs with no PMI through the Veterans Administration (VA) loan program, so that’s something else to think about. There’s one more thing to know about down payment options: Some government organizations and lenders try to incentivize first-time homeownership by offering free down payment grants or loans to qualified buyers. Depending on your age, income level, credit score and other factors, you could qualify for free money to wrap into your down payment; a full rundown of programs is available at downpaymentresource.com. Between the amount of money you plan to put down on the home, the potential PMI and other cost factors, your monthly cost could be significantly more (or possibly less) than some of those calculators will show you online. So before you trust those “estimated monthly mortgage loan amount” numbers that you see popping up next to your potential new dream home on Realtor.com, Zillow or a brokerage website, it pays to figure out what you can actually afford — and that means getting prequalified for a home loan. This means you will need to talk to a mortgage loan officer and submit a slew of documentation, from your monthly pay stub to your credit score, in order for that loan officer to tell you how much money you can get for your home loan. It’s a little bit painful, but the prequalification letter you’ll get as a result is much more credible than a quick qualification you can pull up on an app — and that means sellers will take it more seriously when it comes time to put in an offer. You’ll have to qualify for a loan eventually anyway, so why not get the painful part out of the way? Be careful: A bank might approve you for a loan amount that’s realistically more debt than you can carry month-to-month. Consider that you’ll need to pay homeowners’ insurance, taxes and possibly flood insurance on your new property or PMI on your loan, and try to make sure you’re not setting yourself up for a total monthly payment that’s more than about one-third of your household’s take-home pay. Not only will this help you set your price range for the search stage, but it will also give you confidence that you — yes, you! — can be a successful homeowner someday soon. It’s so easy to find homes online these days that you may wonder why a real estate professional is even necessary. After all, isn’t the hard part — finding the place you want to buy — something you can do yourself? Well, maybe. But the process of buying and selling a home is filled with 100’s of details that need to be planned for and navigated to a successful outcome. Not to mention areas with competitive markets where you’re probably not seeing the most updated listings — that home you just fell in love with online might be under contract before you can set up a time to tour it. Not only can a real estate professional make sure you have access to listings the second they hit the MLS, but a licensed real estate professional can also provide expertise on the area where you want to move. Whether that’s feedback on who can help you with homeowners’ insurance quotes to warnings about some of the challenges of owning a home in that particular area, you want to work with an honest professional dedicated to protecting your interests and those of the public. A real estate professional is an invaluable resource. How long have you sold real estate? How long have you sold real estate in this neighborhood in particular? What can you tell me about the energy options in the area? What else should I know about utilities, like water/sewer and other amenities? What do other clients who have moved here like about the area? What don’t they like? What do people in this area like to do for fun? What are some popular weekend activities? What can I expect about the buying process? What steps should I be especially aware of, and how will we stay in communication? A real estate professional who’s an area expert should have no trouble answering the lifestyle questions, and a real estate professional who’s a transaction-management ace can help you understand exactly what you’re in for, how long it’s likely to take and what rewards await you at the end of the tunnel. If it’s at all possible, see if you can find an Airbnb or another vacation-rental type of setup where you can crash for a night or two — preferably closer to a week — so you can try your new neighborhood on for size. Is an 8 a.m. arrival time at work still reasonable with this neighborhood’s commute? This is an opportunity for you to start navigating your way around public transportation or new routes to work so you know exactly what you’re signing up for. Where are the closest grocery stores, parks, rec centers and hiking trails? Figure out where you’re going to shop and work out, and where you can spend time outside walking the dog or enjoying nature. That way you won’t kick yourself later for realizing too late that something you really value isn’t available. And what are the overnight noise levels like, anyway? If there’s a train that rolls through town in the early hours of the morning, you’re near a highway or a flight path — and any of that is going to disturb you — then it’s best to figure it out before you’re spending your first night in your new home and wake up to unpleasant (and unexpected) noises. 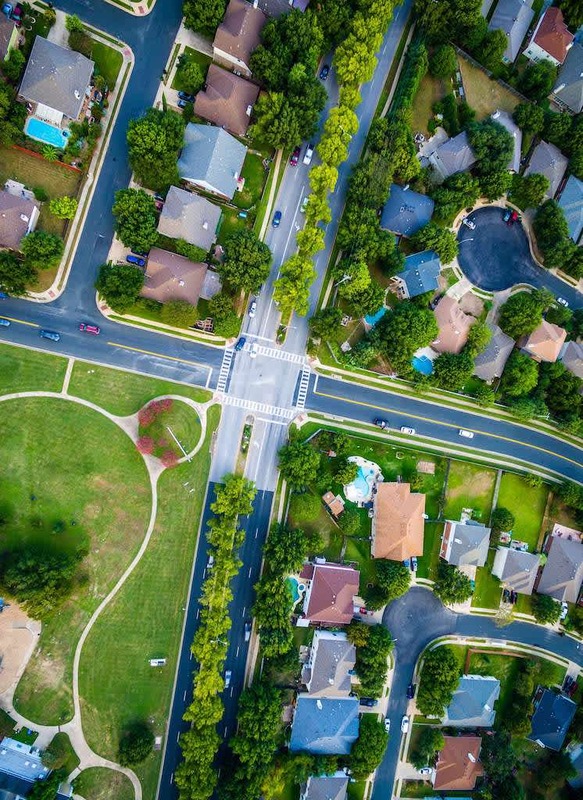 At the very least, you can learn enough about the neighborhood to know how close to (or far away from) the bus line you need or want to be and target your home search accordingly. Those drop panels in the ceiling are hideous, and you can’t imagine how anyone can fit into that minuscule bathtub. Are those annoyances that can be fixed or deal-breakers that mean you should pass on the property entirely? This is another area where a good real estate agent can help. They see so many houses in various stages of repair and updating that they can show you where you can claim another foot or two for bathtub space (and help you figure out how much it will cost and who’s trustworthy enough to take on the job) or let you know that the ceilings are too low for any changes to make much of a difference. They can also give you an idea of what’s up to code and what simply won’t pass an inspection in 2017, so you know what concessions to request as soon as you’re ready to make an offer. In markets where entry-level homes are getting snatched up as soon as they hit the market, knowing what’s acceptable and what you just can’t take is a huge advantage — it’ll help you make a decision, with confidence, on the fly. None of these mistakes will keep you from buying a home of your own — but they could delay the process and cost you hundreds (if not thousands) of dollars at the end of the day. But if you’re able to avoid them, you’ll be signing the closing papers on your dream home before you know it!